21.12.2008 International dog show "VILNIS WINTER'2008"
20.12.2008 International dog show "VILNIS WINTER'2008"
Congratulate of Rocket Queen and Lancia with title Champion of National Dobermann Club! 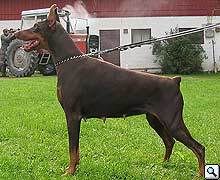 Congratulate of Beylis with title Champion of National Dobermann Club! Congratulate of Zeus with title Russian Champion! Поздравляем Congratulate of Ultima with title Grand Champion of Ukraina! Congratulate of Ultima with title Champion of Ukraina! Congratulate of Xantia with title Junior Champion of Russia! Congratulations to our dogs on successful passing ZTP on 22.08.08 in Moscow, jugde H.Wiblishauser! with glorious results at IDC and World Dog Show! Congratulate of Zeus with title Junior Champion of Russia! 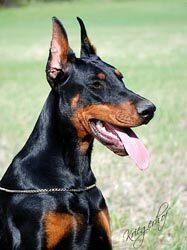 Congratulate of Ultima with titleChampion of Russian Dobermann Club! Mrs. Marja-Leena Kurvinen (puppies, juniors and youth classes). - 3 excellent in open class from 29 dogs! Congratulate of Maserati Mistral with title Champion of Ukraina! Congratulate X-Trail and X-Taiti with title Junior Russian Champion! Congratulate of Sicilia with title Russian Champion! Congratulate of Ellington Garri with title National Club Champion! Congratulate of Ultima with title Russian Champion! Congratulate of Ultima with title Junior Club Champion! Congratulate of Ono with title National Club Champion! Congratulate of Ursula with title Russian Junior Champion! 1 ex, CAC, BOB, RKF CH. Congratulate of Legacy with title Russian Champion! 1 ex, CW, CCC, BOB brown in open class. 1 ex, САС in open class. Congratulate of Ono with title Russian Champion! Congratulate of Ultima with title Russian Junior Champion! 1 ex, САС in intermediate class.